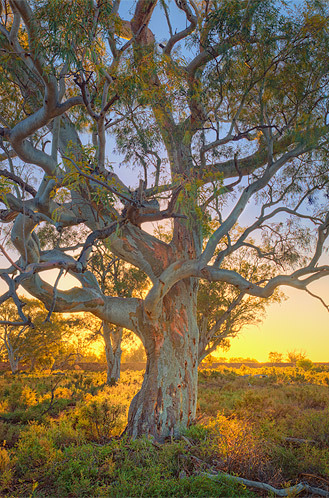 The gum tree is one of many symbols which give true meaning to our beautiful country. Its random patterns and shape of growth is what make them so beautiful. In such a harsh environment, this glowing gum is clearly thriving even though it sees little water for 6-9 months of the year.